UK publishing house AI Global Media is proud to announce that it is undertaking the National Three Peaks Challenge in aid of Cancer Research UK. 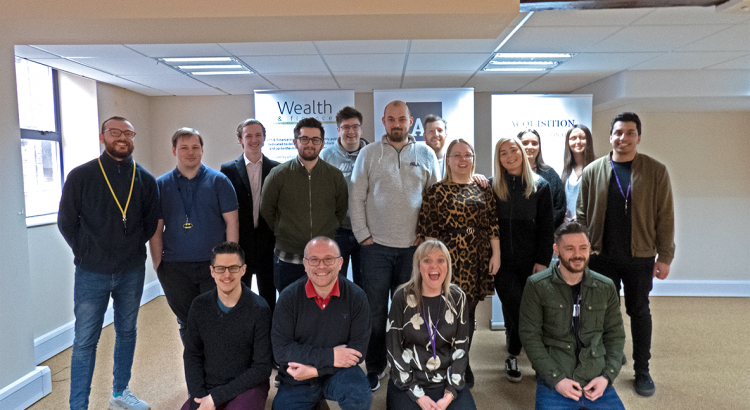 Twenty-one members of the firm’s team will be attempting the National Three Peaks Challenge, involves climbing the three highest peaks of Scotland, England and Wales. The three peaks are Snowdon, in Wales, which stands at 1085m, Scafell Pike, in England, which is 978m and finally Ben Nevis, in Scotland, which is 1345m. Comprising of members of almost every department, including accounts, sales, features and IT, the team will be raising money for Cancer Research UK, a deserving charity dedicated to funding research into all types of cancer, a disease which has, in some way, affected the lives of many members of AI Global Media’s team. The firm’s Donation Page can be found HERE. Training will take place over the coming weeks, with the firm organising a number of trips to various locations including Kinder Scout, Snowden and Scafell Pike prior to the event itself, which takes place between the 21st and the 23rd June 2019. AI Global Media is a digital B2B publishing house and was launched in 2010. The company is committed to creating engaging content that informs its readers and reaches its advertiser’s target markets. Today, the firm has 16 unique brands, each of which serves a specific sector or region. As a business with over eight years’ experience in the market, AI Global Media understands the value of a great workforce and runs regular activities throughout the year to reward the team for their hard-work and commitment. From Family Fun Days to its annual Sporting Event, regular charity fundraisers to the firm’s Bakeoff, which runs throughout the year, the company is always seeking to show its team the importance of combining work with play. Set across three gruelling stages, the National Three Peaks Challenge sees intrepid walkers climb the three highest peaks of Scotland, England and Wales. The total walking distance is 23 miles (37km) and the total ascent is 3064 metres (10,052ft) – twice the ascent of the Yorkshire Three Peaks, over a similar total walking distance. The total driving distance is 462 miles. Cancer Research UK is a charitable organisation designed to fund scientists, doctors and nurses to help beat cancer sooner. The organisation also provides cancer information to the public to support survivors, those battling cancer, their families and those who have lost someone or been affected by cancer. ETS Corporate Business Brokers Sell Coffee shop London within 24 Hours!